I got to know about YouBella when I was browsing through their Amazon Store. This brand has a wide range of products on Amazon as well as on their website. Being a jewellery hoarder, I love buying jewellery and YouBella is surely on my list. Recently they have added many new products to their store, and I decided to write about it and share some of my favorite pieces with you. YouBella is an Indian online e-commerce brand which offers an exquisite range of artificial jewellery. They offer traditional jewellery as well as fashion accessories. 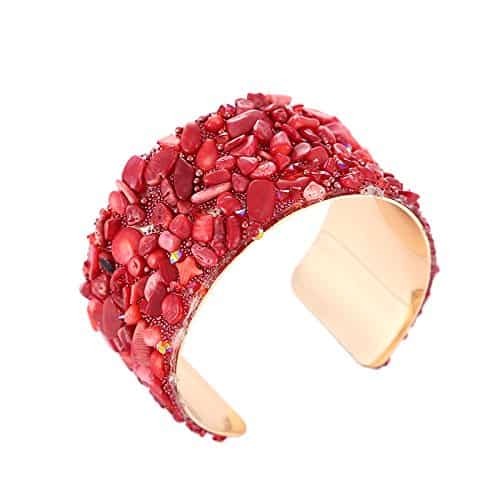 They believe that looking beautiful is everyone’s birthright and they help women to enhance their beauty with stunning jewelry designs that they offer. With years of experience and having talented teammates from India’s best management institute like IIM, they focus on offering “best shopping experience” for their customers. They offer an excellent range of traditional jewellery as well as fashion accessories including Necklace Earring Sets, Statement Earrings, Bangle Sets, Finger Rings, Mangal Sutra, Pendent Earring Set, Earstuds, Bracelets, etc. 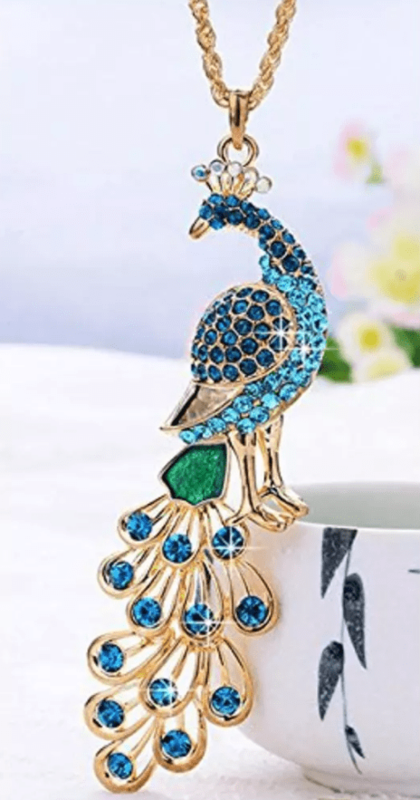 You will find AD jewellery, Ginni Designs; inspired from Temple Jewellery Era, Stone Jewellery, Heavy Bridal Jewellery, Kundan jewelry, Pearl Jewellery pieces, Pachi jewelry, Bollywood inspired jewelry pieces, Statement jewelry pieces, etc. In short, it is one promising brand in India, which has something for everyone. Working professionals should invest in some statement earrings, bracelets & neckpieces. This oversized clip on earring is one such accessory that I would like to have and pair it with my formals. 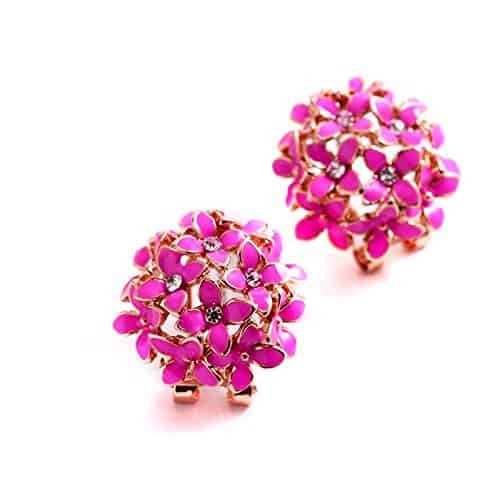 Just imagine a well fitted LBD paired with this stunning pair of clip-on earrings. Again, they are big in size, but the clip on support at the back side would make it the comfortable wear. 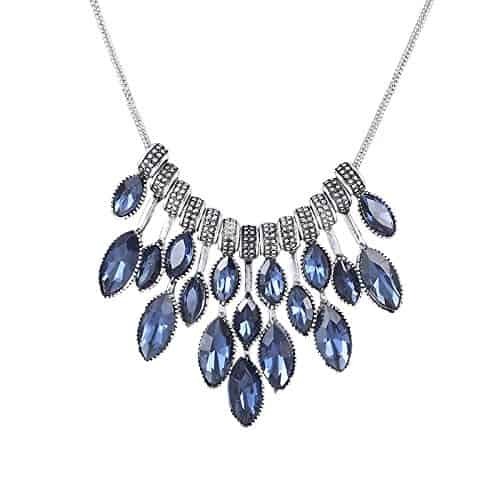 A stunning neckpiece like this is something I always insist on having in your jewelry collection. When you want to go out with a simple look and want to opt for not so fancy attire, you can focus on an accessory part. Neckpiece like this one you need for sure. I have some jewelry pieces; I call them Saviours! Yes, when you can’t decide what to wear, just wear a statement bracelet like this! It goes well with ethnic wear as well as western outfits. Something for on the go girl like me 😉 YouBella has amazing collection of such artificial jewellery pieces on their website. Girls love Peacock, Heart & Bows! Agree? Well, Peacock Jewellery is in trend these days. You can wear such jewelry pieces with Saree, Lehenga or something like Kurti with simple neckline.